Manila, Philippines - As the country gears up for the 112th Labor Day celebration on Thursday, May 1 2014, Labor and Employment Secretary Rosalinda Dimapilis-Baldoz reminded jobseekers on the basic “must-do” if they wish to join and participate in any of the 65 nationwide DOLE 2014 Labor Day Job Fairs. 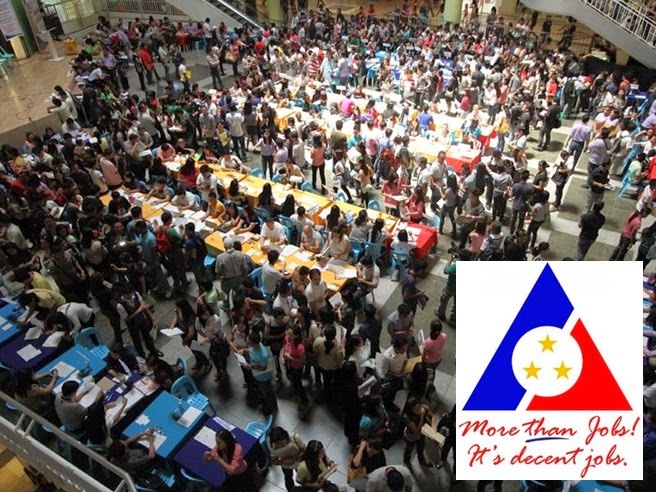 "Whether you are going to the job fair at the SMX Convention Center at the MOA in Pasay City, or to another job fair in a particular city or province, a basic requirement is to have your application documents ready as job opportunities in “key employment generator” industries in all the 65 job fairs will be abundantly available on 1 May," Baldoz said. She said among the list of documents required by employers at the job fair are resume or curriculum vitae; 2 x 2 ID pictures (bring extra copies for multiple job applications); certificate of employment, for those formerly employed; diploma and/or transcript of records; and authenticated birth certificate. As a general procedure for job application on 1 May, new jobseekers will be required to fill-up registration forms which are to be provided at the job fairs. But before 1 May, applicants can already pre-register online through the new PhilJob.net website; or manually, through the Public Employment Service Office (PESO), in their locality. "There will be thousands of jobs that would be available in the job fairs. Choose the position that best fits your qualification from the vacancies listing that would be made available at the fairs. Take note of the company's name then proceed to the company's booth,” Baldoz said. "Better still, do a little research on the company you are interested in. This will be a big help in the interviews. Employers will interview, pre-select, and hire on-the-spot qualified workers, but if the applicant is not qualified, he may opt to look for other vacancies," she added. The theme of the 2014 Labor Day celebration is ‘Sa Sipag, Tiyaga, at Talino, Buong Mundo Saludo sa Manggagawang Pilipino.' With this theme, the DOLE aims to recognize the invaluable contribution of all Filipino workers to the continued growth and resurgence of the Philippine economy. “The resiliency of our workers, against all odds, is beyond compare. This Labor Day, we aim to give back the service they deserve by fast-tracking the matching of jobseekers and employers, particularly in identified areas where skills are highly in demand or available through the conduct of Job Fairs,” Baldoz said. The job fairs are open to all unemployed, skilled and unskilled workers, fresh college graduates, graduates of training institutions, displaced workers and employees seeking advancement. The DOLE is leading the 2014 Labor Day festivities with a renewed commitment to the righteous governance, anti-corruption, anti-poverty drive of the Aquino III administration, whose goal is to reduce, if not eliminate, poverty through inclusive job-rich economic growth.